As I sit here and write this first “official” blog entry on my brand new website, it’s hard to know where to start with this blank Word document. This project has been years in the making, but it was our journey over the past year that God has chosen to finally open the door to share our story. Little did my husband and I know all that would be in store. 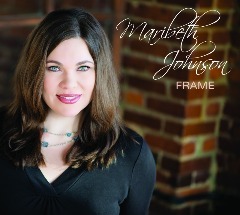 The new album “Frame” is a collection of songs that take you on a journey through the ups and downs of life. Frames and snapshots of our lives are everywhere. From social media uploads to photo albums and picture frames hanging on the wall, people long to capture moments of their lives that they want to hold on to forever. Hopefully there is something on this project that will connect with you in a profound way as you listen. From songs of hope and songs of encouragement to messages of healing and inspiration, these songs tell our story, and our prayer is that they will encourage you as you live yours.